Bitcoin’s high level of scarcity has partly influenced its reported high market value. Although you can purchase Bitcoin using online cryptocurrency exchanges, Bitcoin was originally earned via a process known as mining, which is basically a lottery system using a specialized computer program. This lottery system favors those with the biggest and fastest machines, which means people will probably need better programs and higher Bitcoin prices to make mining worthwhile—leading to its scarce supply. Blockchain keeps Bitcoin decentralized, making it hard for governments and regulatory bodies to control it and other cryptocurrencies. The decentralized nature of Bitcoin, plus its surging value, is diminishing its chances of becoming a more widespread currency. At the moment, most people seem to be turning to Bitcoin as a means of investing with hopes of a big payoff, rather than using it in commercial transactions. It’s important to keep an eye on your long-term goals, and before investing talk to a financial advisor to make sure your investments align both with your financial plan and with your values. Views expressed are the current opinion of Jeff Blaser and are not necessarily those of Raymond James, and are subject to change without notice. Information was received from sources believed to be reliable, but accuracy is not guaranteed. The mention of specific securities is for information purposes only and no statement within this document should be construed as a recommendation to buy or sell a security. Prior to making an investment decision, please consult with your financial advisor about your individual situation. 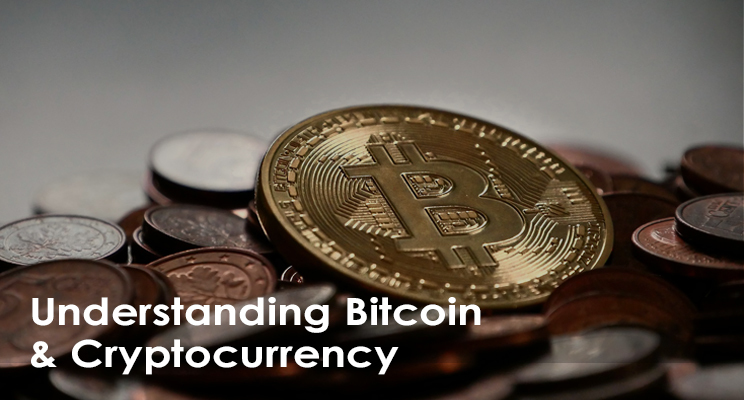 Bitcoin and other cryptocurrencies are a very speculative investment and involves a high degree of risk. Investors must have the financial ability, sophistication/experience and willingness to bear the risks of an investment, and a potential total loss of their investment. The prominent underlying risk of using bitcoin as a medium of exchange is that it is not authorized or regulated by any central bank. Bitcoin issuers are not registered with the SEC, and the bitcoin marketplace is currently unregulated. Securities that have been classified as Bitcoin-related cannot be purchased or deposited in Raymond James client accounts. Past performance may not be indicative of future results. Investing always involves risk and you may incur a profit or loss. No investment stratagy can guarantee success.